Destination Comoros, officially known as the Union of Comoros; a sovereign archipelago island situated in the Indian Ocean off the eastern coast of Africa. Travelling or relocating to Comoros, those looking for a change of scenery, the island of Comoros offers to their visitors a unique opportunity of dropping off from the world with its exclusive sceneries. You will also find here some very beautiful white sand beaches, and above all, you will feel the lush tropical vegetation’s exuberance. The archipelago of Comoros has a population of 813, 707 and the natural increase is set to be positive. WHAT MAKES COMOROS SO INTERESTING? Livingstone’s fruit bats are megabats which are found only in Comoros. They are also classified as endangered species, with only around 1,000 left in the world. As the highest peak in Comoros, Mount Karthala rises 7,746 feet above the ocean and creates an imposing peak and crater. Comoros is the second largest producer of vanilla in the world and is also a huge exporter of ylang-ylang and cloves. Those unfamiliar with ylang-ylang might recognize it as one of the important essences in Chanel No. 5. Moroni is the official and largest city of the country. Located in the west coast of Grande Comore, the largest island of the archipelago; you may find yourself in a different world. An Arabian style, colorful women with wraps, you may find some traditional cafes and shops which makes the simplicity and the beauty of the town. Moroni is home to the administrative centers, political headquarters, seaport commerce, business hubs and religious sites. Moroni is also an excellent starting point for those who wish to visit the rest of the islands. 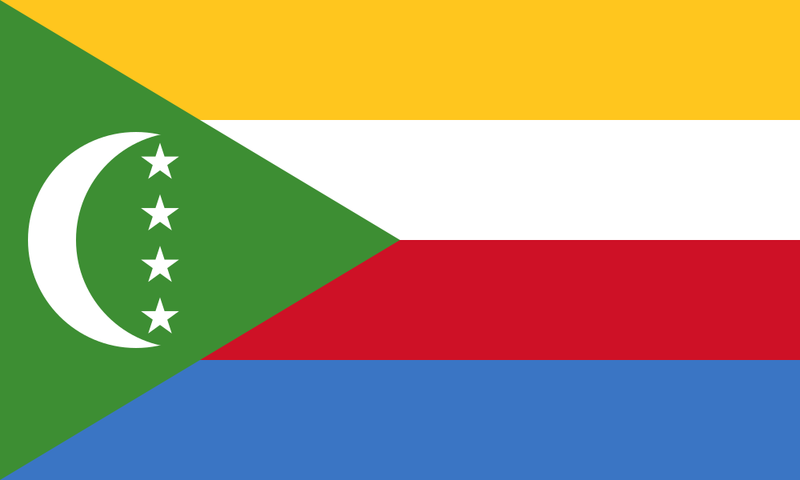 Comoros has three official languages: French, Arabic and Comorian which is a native language close to the Swahili and widely spoken among the locals. French and Arabic are mostly used for official purposes: commerce, administrative and for business tasks. Comoros is the 194th largest export economy in the world. Heavily dependent on agriculture, Comoros has a modest economic situation. Around 80% of the population are involved in agricultural activities. From hunting, forestry to fishing; they heavily earn their living with these activities. The major industries of Comoros which supports the economy of the country are perfume distillation industry, tourism industry and fishing industry. The Comoros economy is also backed by a vast quantity of imports. Apart from rice, the merchandises which are imported to the country include petroleum products, consumer goods, transport equipment and cement.